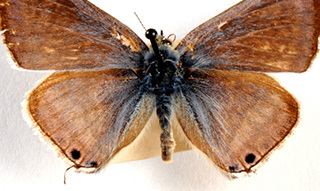 Reading Museum's natural history collections consist of more than 200,000 biological and geological specimens. They show how our environment has evolved over millions of years into the landscape we see today, and reflect the biodiversity of the Reading area and the interests of local collectors going back to 1883. Highlights include an impressive red deer stag presented by King George V in 1911. The entomology collection contains about 150,000 insects from Britain, Europe, India and Africa - over half are butterflies and moths but beetles, flies, bees and wasps, grasshoppers, dragonflies and other groups are represented. Local donors also collected plants, shells, corals, rocks, minerals and fossils from Britain and overseas.